What kind of ecommerce software should you use? This is one of the first questions any business looking to sell online should answer. Thankfully, in this day and age you have a host of options at your fingertips, from hosted SaaS software to self-hosted open-source ecommerce solutions. Below, we will take a brief look at the three types of ecommerce software and consider their pros and cons. Requires little to no technical expertise to get started. The software provider takes care of payments and customer queries related to technical issues. Maintenance is a non-issue; all updates can be pushed out remotely by the software provider. Popular solutions like Shopify have extensive range of pre-existing themes and templates and strong developer support. Most popular SaaS ecommerce solutions integrate easily with marketing automation, customer helpdesk and analytics software. Since the underlying codebase is owned and hosted by the software provider, businesses can't modify the software extensively to meet their requirements. Limited flexibility; can only utilise features and capabilities supported by the software provider. Difficult to scale after a certain stage. Can be expensive for larger stores. You are limited to using the CRM, marketing and customer helpdesk software supported by the ecommerce provider. This refers to paid or open-source (i.e. free) ecommerce software that is hosted on your own servers. In case of paid software, you have to pay a license fee (usually one-time) to use the software on your website. Open-source software is free to download, though you can usually avail premium support services from the open-source developer if need be. Self-hosted ecommerce software is great for large businesses that want a lot of flexibility and customisability. Since everything is hosted on your own servers and you get access to the complete underlying codebase, you can customise it to create any kind of website you want. Some of the popular self-hosted solutions are Hybris, Sana Commerce (paid), and WooCommerce, Magento, OpenCart, ZenCart, etc. (free). Extensive customisability. You can modify the software to create complex websites (within reasonable limits, of course). Highly scalable. Popular open-source software like Magento powers the ecommerce websites for huge brands like Nike and Olympus. You can accommodate a huge variety of products. Since the software is hosted on your own servers, accommodating a larger number of users is simply a matter of upgrading your host. Getting started is cheap. With open-source software, you only need to pay initial server cost to get started. Requires extensive technical know-how to customise the store. Maintenance can be an issue; you will most likely require a dedicated technical support person to iron out issues. Difficult to find readily available themes; most stores have to be designed extensively from the ground-up. Highly customisable. Since you are basically starting from zero, you can create any kind of feature imaginable. Reduced bloat. With most hosted/self-hosted solutions, you end up with features you don't need or want. With bespoke solutions, you can code only the features you really need, thus eliminating bloat from the end product. Better integration with existing software. You can code the software from the ground up to work with your existing CRM, marketing automation and helpdesk solutions. Expensive. Writing capable ecommerce software from scratch requires hundreds of man-house of work. This can be prohibitively expensive for all but the largest of businesses. Technically challenging. Creating good software requires extensive technical knowhow of a number of technologies. Most businesses do not have such technical talent readily available. The software creation process is slow. In the time it requires to write the software, you might lose your competitive advantage. Creating custom software is usually only recommended for very large businesses that have very specific requirements, or small businesses that want something very simple and have the technical know-how to create their own software. 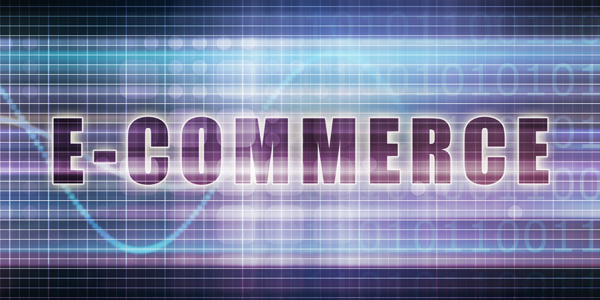 Each of the three types of ecommerce software listed above is useful in its own way. Hosted solutions will work for most small businesses, while self-hosted solutions work better for larger businesses with more specific requirements. Bespoke solutions can be very useful, but require a lot of technical know-how and can be prohibitively expensive for most businesses.